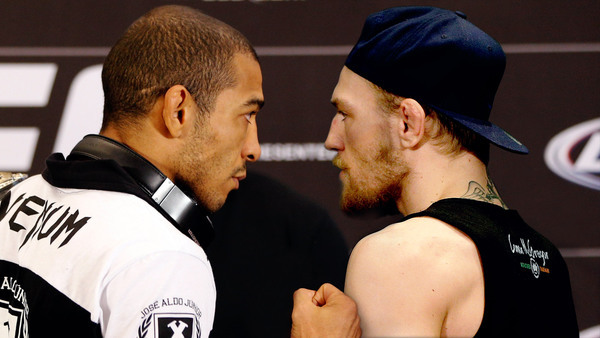 No doubt this will be a kickboxing match, but If Aldo uses leg kicks and softens Conor up for the takedown then he could possibly sub Conor since that seems to be his only weakness is his sub defense... But that will never happen, this fight will stay on the feet and I say Aldo shocks the world and wins by TKO in the fourth by the way of a superman punch that stuns Conor then he follows up with some GnP until the ref stops it. What's your guys take on this fight. I'll have to revisit this when it's not so late... I'm getting ready to crash right now.